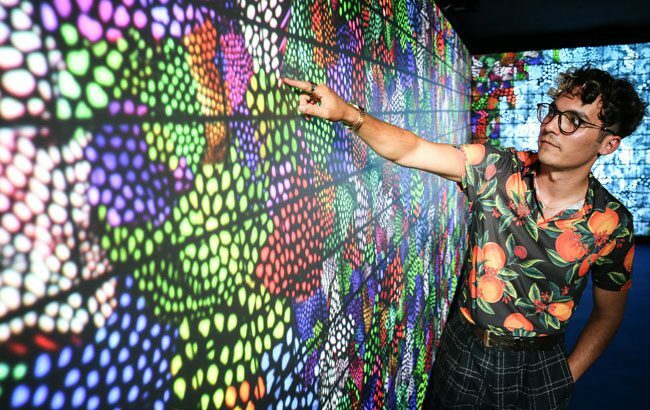 Gin brand Bombay Sapphire launched its latest immersive installation, called Canvas, this week. The destination is designed to inspire creative self-expression and was launched by the gin brand at a VIP night attended by numerous creative professionals. Guests including actress Gemma Chan and model Erin O’Connor were able to customise their own Bombay Sapphire Canvas cocktails with flavoured edible paints, while artists Alex May Hughes and Josh McKenna transformed the space from a blank canvas into a living work of art.